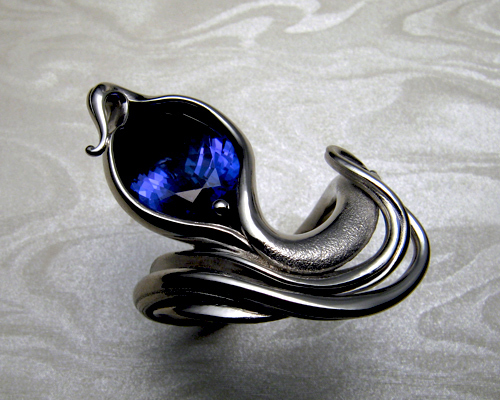 Fluid, organic free-form ring with tanzanite. Inspired by the fluidity of nature (spirit moving through matter). 14k white gold. To create a similar look we could work with a stone size of 1/2ct to 2 1/2ct.